A Mississippi insurance group committed to providing high quality, low cost health insurance and employee benefits for small to large businesses, as well as Individuals. Custom designed employee insurance benefit plans for your business, resulting in high quality, cost-effective results for the overall health of your business group. Are you a self-employed business owner or Mississippi resident who has to purchase your own health insurance plan? We can help you. Life Happens! We can also protect you with a variety of supplemental benefits such as Life Insurance, Dental Insurance, Disability Insurance, and Care plans as well. Do you need help putting together an employee insurance benefits package for your business? We can help you navigate the process to help ensure you get the best solution possible. You can count on us to be there exactly when you need us most. We answer your calls or call you back as soon as possible. Yes, even at 3:00 AM when you are in the Emergency Room. That's service you can count on! Our company has done business with Dave Randazzo as our benefits coordinator for almost 10 years. He is always readily available to address our needs and concerns. I have been doing business with Dave Randazzo for over 6 years. His service is exceptional and couldn’t ask for any other better insurance agent. I would highly recommend him and his agency for the best customer service experience possible. Dave Randazzo has spent a lot of time helping me on a personal level with my medical claims for my family. I would highly recommend him to anyone wanting someone who cares about their situation. Having the opportunity to work with Dave Randazzo for several years, I have seen first-hand his demeanor and work ethic. I can assure anyone that the level of service he provides to business as well as the end user is almost unparalleled in the industry. We are committed to saving individuals and businesses money on their health insurance needs while providing high quality, low cost insurance benefits. 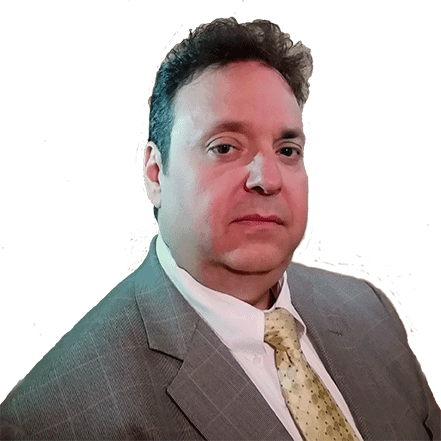 Mississippi Group Health Insurance agency was founded in 2017 by myself, Dave Randazzo. I am a licensed broker in Mississippi. I worked for 15 years in the insurance industry as a licensed agent before becoming a licensed broker in our state. At Mississippi Group Health Insurance, we specialize in Group Health Insurance and Employee Benefits for small to large businesses. We also serve Mississippians looking for Individual Health Insurance. Mississippi Group Health Insurance also offers Life Insurance and supplemental insurance plans such as those listed below, among others. Before I became a licensed broker, I was blessed to work for one of the premier brokerages in the state of Mississippi. My mentor in the insurance industry has been John Chrestman (the owner of SIE). He is also a Life Underwriter Training Council Fellow. 15 years of experience with one of the best mentors in the business trained me to run a business based on integrity. Because of this experience, I have opened and retained multiple business benefits accounts within the state of Mississippi. Mississippi Group Health Insurance is highly committed to providing the best customer service in an industry not highly noted for service. I have helped many businesses save multiple millions of dollars through comprehensive benefits audits, consultations, and implementing employee insurance benefits plans tailored to their group’s needs. Business owners, employees, and individuals have come to rely on our company for exceptional savings. As you can see by the testimonials given by real clients, they enjoy our exceptional service as well. As a licensed Mississippi insurance broker, I feel that it is my duty to provide exceptional service. We thrive on helping small to large businesses save money on their group health insurance and employee benefits plans without cutting back on the quality of their benefits. I stand ready to earn your business. How do we earn your business? We choose to earn your business through exceptional service, honesty, and integrity. We highly value the truth… even when it doesn’t benefit us. I live by one rule – The Golden Rule. I believe in treating my clients the way I want to be treated. If a plan doesn’t make sense for your needs, we will be upfront and honest about it during our consultation or analysis. Our integrity and your well-being are more important to us than a commission. Are you ready to experience exceptional service in the insurance industry from a Mississippi insurance broker who truly cares about your health AND your bottom line? Contact us today to book your FREE benefits analysis and consultation. Now that you know more about us and our company, find out why we may be the best Mississippi insurance company choice for your business benefits needs. I have helped many businesses in Mississippi save multiple millions of dollars through comprehensive benefits audits and consultations. Are you ready to experience exceptional service from a broker who truly cares? Contact us today to set up an appointment.